We’ve written before about genetically engineered ingredients (most often referred to as GMOS, for genetically modified organisms), but we’ve never taken so comprehensive a look at the issue as we do in the Wellness Foods section of this website. I strongly urge you to take a look. And then to think hard about it. Our story does a great job of summarizing credible research on the subject by both sides. And I want to say up front that we try not to take sides on this issue. 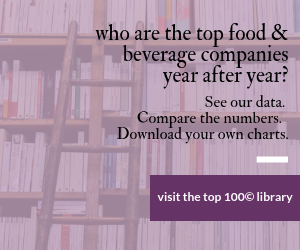 While we count many Fortune 500 (or, quoting our own list, Top 100) companies among our readers, we probably have just as many smaller companies and ones committed to organics and all-natural products. Ones searching for a niche or trying to make a mark alongside the big guys. We love both groups. Human Health Risks: More and more studies point to the idea that there’s grave cause for concern about the health effects of consuming GMOs and the chemicals they are sprayed with, including food allergies, irritable bowels, organ damage, cancer. Environmental Risks: Seventy-two percent of U.S. GMO crops are engineered to tolerate a certain type of herbicide. But the weeds that these herbicides used to kill are coming back bigger and stronger, creating herbicide-resistant “superweeds” that require greater quantities of more toxic pesticides to eradicate. The Risk to Farmers in Developing Countries: Every 30 minutes, a farmer commits suicide in India due to meet rising debts, a phenomenon that has been steadily rising since the 1970s. While the causes behind the farmers’ crushing debt and resultant suicides are complex — ranging from unfair government floor prices for cotton to international trade agreements skewed in favor of other countries — GM seeds do appear to play a role. That’s it. Just four points. And four of the weakest arguments I’ve ever heard. The boldfaced intros are compelling, but the supporting arguments just don’t hold water. Nowhere do I see the “more and more studies” alluded to in bullet point one (which introduces the dangers of pesticides and other chemicals, not the dangers of the GMOs themselves). Are bigger weeds the biggest environmental risk they can come up with? Farmers in India committing suicide? How is that relevant? But I'll give them at least some points for the last one, the contamination of organic farms. I’m sorry. With the superficial knowledge I had going into this subject, and knowing some of the leaders personally, I was hoping to be persuaded to at least abstain from taking sides. But if those are GMO Inside’s best shots, they leave me cold. I’m bothered by fanatics on any issue. I don’t know where some companies’ fervor ends and market posturing begins. And with only one company (until now) certifying products as GMO-free, I wonder about the profit motive in pushing for labels. Clearly, however, GMOs are one of those emotional issues. I witnessed that early in March at Natural Products Expo West. For a March 7 press conference and meeting, backers of the various GMO labeling initiatives booked a pretty big room, which legally held 178. I was one of 50 or so people huddled in the lobby. Several more people came, gave up and left during the hourlong event. It was part press conference and part revival meeting. The emotions in that cramped room ran high. My advice to her: Make a decision. Take a stand, and proudly stick by it. No one says you have to label “contains GMOs” on your packaging. Not yet, anyway. You just won’t be able to claim “GMO free.” You’ll lose the consumers who care about such certification but retain — within your current price point — the ones that don’t care. Unfortunately, she may lose Whole Foods as a retailer. The genetically engineered salmon is a whole ’nother story. For some reason, that one scares me. Again, my research on the subject is pretty shallow. GMO-free labeling is great. I’ll both defend it and be as oblivious to it as I am to gluten-free or peanut-free. If I cared, I’d welcome the label. I don’t, but I defend the rights of those who do care about such labels. Just don’t force a warning label onto foods that do contain GMOs.